From your cruise ship you will be transported to Cairo to begin your exploration of the Sakkara step pyramids and tombs. Believed to be created by one man, Imhotep, it represents the first major work in stone for the region. 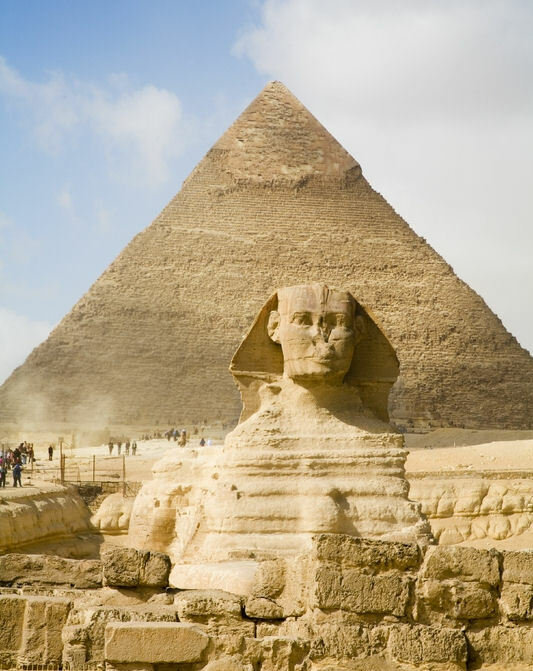 Your journey will continue on to Giza where you will view the pyramids and the Sphinx. The tallest of the pyramids reside at Giza. The region of Giza is one of the largest burial grounds in Egypt and it is unknown how large it actually is. After which there will be a break for lunch. Your final stop will be to see the Black & Red Pyramids. The Black Pyramid of pharaoh Amenemhat III who ruled from 1855 to 1808 BC. This pyramid is only one of three remaining of the original eleven that were constructed at Dahshur. The Black Pyramid has collapsed on the exterior due to the elevation being close to sea level. The interior passages ways and rooms are still intact.